Forget old school shaving, today you need LASERS to zap that ‘stache! It was hard to resist the lure. Philips contacted me to ask if I’d be interested in learning more about their new beard trimmer. Before I could say no, the representative added, “it has lasers”. The Beardtrimmer 9000 is a standard trimmer by many accounts, but it has a few cool features that are making it popular with men, including the aforementioned lasers. To select your preferred trim length, just turn the zoom wheel on the handle until the length you want is displayed. Your chosen length is now ‘locked in’ for a precise and even trim. When you turn on the razor, and enable the lasers (you can also shut them off), it shoots out a red line so you can see exactly where the razor is cutting. 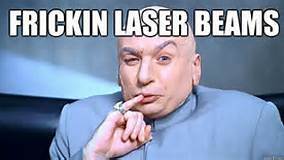 The laser (does anyone else hear Dr Evil in their head when someone says “lasers”?) guidance system projects a long, sharp line of light to guide your trim, pointing out where the hairs will be cut so you get it right every time. The beard trimmer is cleaned by just rinsing the water-resistant trimmer under the tap. Since I’m not a man and have no beard, I shared the Beardtrimmer 9000 with two men I know; my husband Roger (who will occasionally rock a bit of stubble) and neighbour, Mr. Gary (who sports a medium length beard). 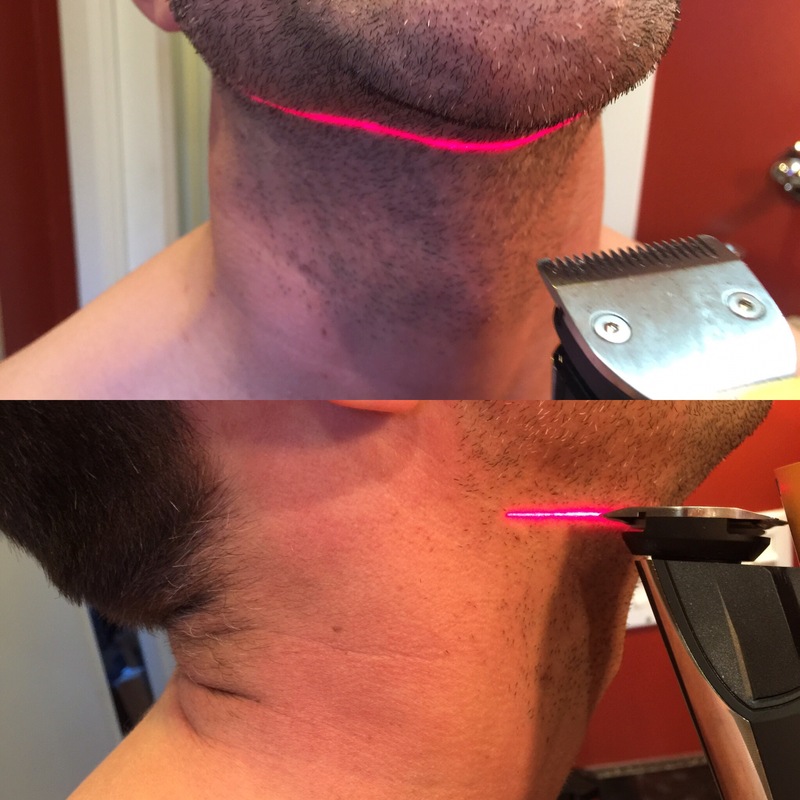 While both men liked the trimmer itself, they found the laser was kind of “overkill”. Roger (short stubble) said it didn’t help him much with his shave, as there wasn’t a whole lot of “guiding” needed, while Mr. Gary thought it was a bit much, and hard to get used to the laser lines jetting across his face. “I’m not this exacting when I’m styling my beard,” he told me. So I was able to glean that this might be a better product for someone who is a little more exacting with their “manscaping” and rocks a much more precise beard. While I was observing these shaves, I thought it looked neat to see the lasers lining up exactly where the trimming would happen, but I guess not being a man, I didn’t understand that shaving is apparently more of a “do it by feel” kind of manly grooming task that, unlike missile launching, leveling things, and eye surgery, doesn’t need laser guidance. This is where I need your help. Philips has given us one of these Beardtrimmer 9000s to give away. Check out the Geeks and Beats website during the month of November to see how to win one. I’d love some feedback from the winner of this super cool gadget after he’s tested it out. For more information on the Beardtrimmer 9000, click here, and to keep up with the latest Tech News and gadget updates, follow Erin’s blog . It may not be paying her way through college, but it’s more fun than a frat party. 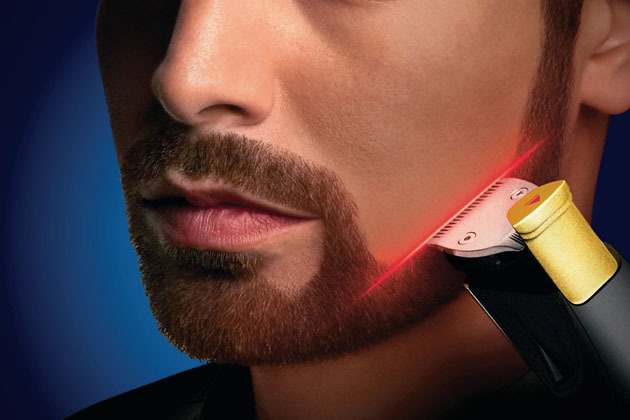 Win a Philips Beard Trimmer 9000 and Shave with LASERS! If you're like me, and I know I am, you couldn't grow a beard if your life depended on it. Every time you walk away, your computer automagically locks. Zaldy Zuño liked this on Facebook.